On Sale Now! 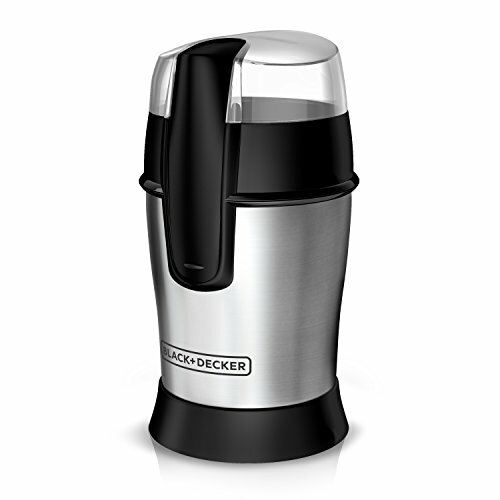 Save 7% on the Black & Decker CBG100S Smartgrind Coffee Grinder, Stainless Steel by BLACK+DECKER at Rat Coffee Shop. MPN: CBG100S. Hurry! Limited time offer. Offer valid only while supplies last. Grind whole beans for up to 12 cups of brewed coffee using the BLACK+DECKER SmartGrind Electric Coffee and Spice Grinder with Stainless Steel Blades. Grind whole beans for up to 12 cups of brewed coffee using the BLACK+DECKER SmartGrind Electric Coffee and Spice Grinder with Stainless Steel Blades. The large-capacity grinder features one-touch pulse control and durable stainless steel blades and grinding bowl that quickly provide a uniform grind. It’s also great for grinding herbs, spices, and grains, or chopping nuts and seeds.